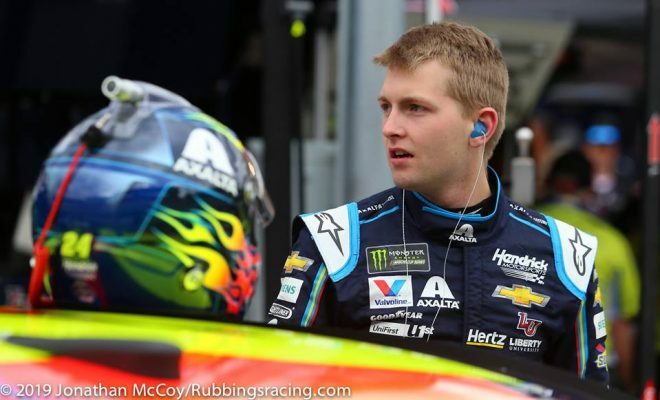 21-year old Charlotte, North Carolina native, William Byron is in his second full-time season driving the No. 24 Chevrolet for the powerhouse team of Hendrick Motorsports in the Monster Energy NASCAR Cup Series. The young driver hasnâ€™t yet found victory lane in NASCARâ€™s premiere series, but heâ€™s consistently improving each and every race week, and heâ€™s remaining optimistic. Byronâ€™s 2019 season started out on a high note after winning the pole for the season opener Daytona 500 in February, with teammate Alex Bowman in the No. 88 Nationwide Chevrolet starting beside him. However, a crash on lap 198 left Byron and the No. 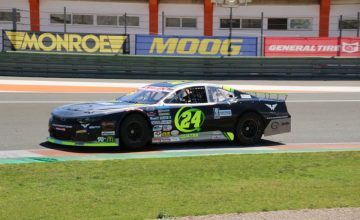 24 Taxa team with a 21st place showing after leading 44 laps. Since Daytona, Byron has finished every event since, and sat on the front row for two weeks straight after qualifying second for both races at Texas and Bristol. 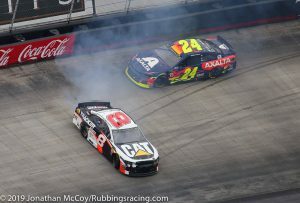 Even with all the adversity through-out the race, Byron finished a track-best 16th in Sunday’s Food City 500 from BMS. The team fought hard all day after fighting early damage from a couple separate incidents, as well as the handling on his Axalta machine. 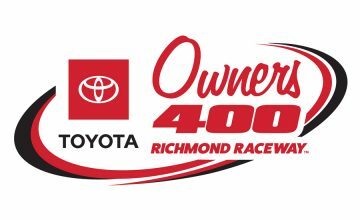 As the MENCS heads to Richmond Raceway for Saturday evenings Toyota Owners 400, Byron will look to capture his first win in the Cup Series. Richmond has been a decent track for the young driver, going back to his Jr Motorsports days in the NASCAR Xfinity Series. In his two starts in the NXS at Richmond in 2017, Byron has finishes of 30th (crash), and 7th. Fast forward to his first starts at the track in the MENCS last season and Byron finished 12th and 20th, respectively. 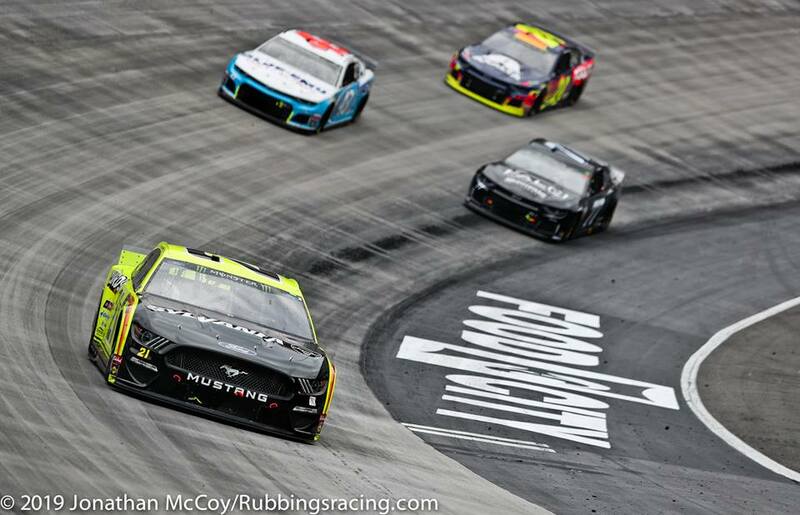 If we rewind to this time last season Byron had 3 top-15 finishes, 1 top-10, and no poles or front row starts. Now fast forward to this season, Byron has 1 pole, three front row starting spots, 1 top-10 and 2 top-15 finishes. Byron currently sits 20th in the drivers standings, so some may look at those statistics and not see much of a change, but there clearly is speed and improvement there. The 24 team has been qualifying well and having solid practice speeds. Remember, Byron and new crew chief Chad Knaus are still building chemistry and learning about one another. Can the 2018 MENCS Rookie of the Year capture his third front-row start in a row when the series qualifies on Friday evening? If the third-time is a charm saying rings true, then yes. 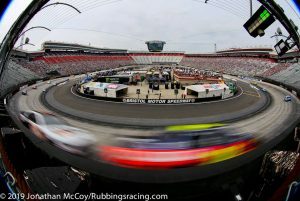 The Toyota Owner’s 400 from Richmond Raceway is set for Saturday evening at 7:30pm EST on Fox. 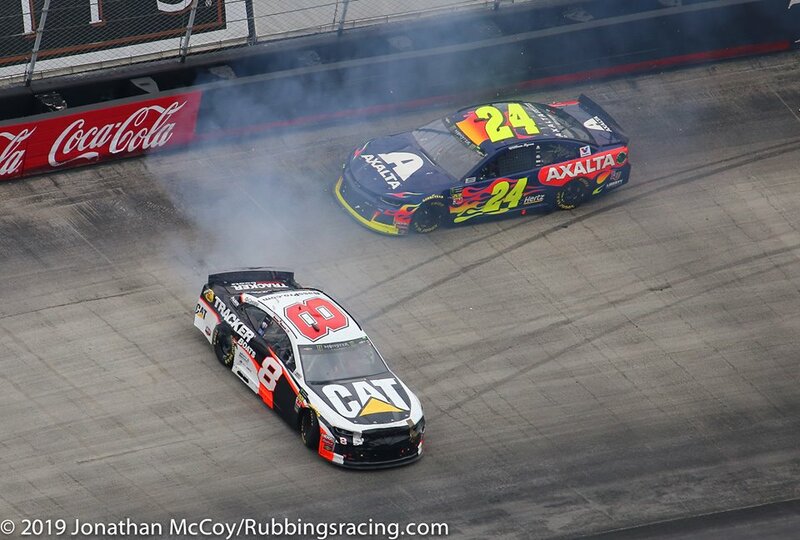 Below are some photos of Byron and the No. 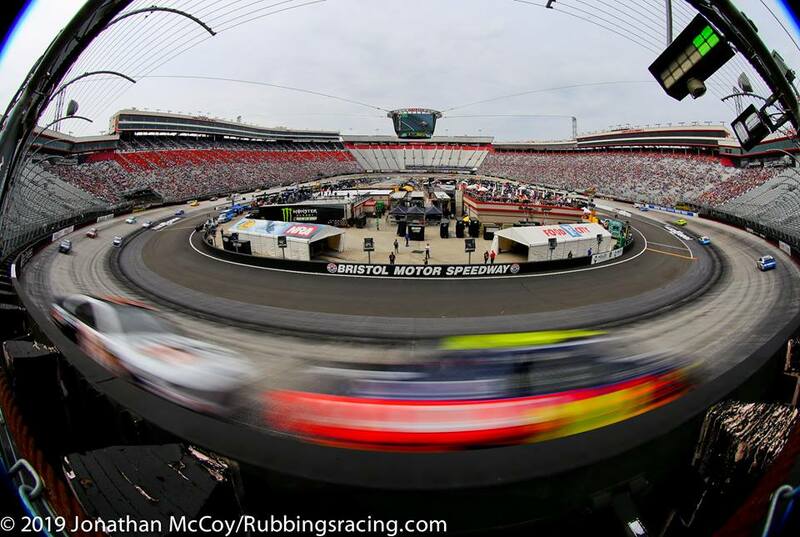 24 that our Jonathan McCoy took at BMS. Sarah is going into her third year covering NASCAR for Rubbings Racing as well as helping run their Social Media platforms. Born and raised in Rhode Island, Sarah is an avid racing fan as well as a fan of the major New England sports teams. She is currently studying Public Relations and Marketing at SNHU with plans to move to North Carolina after graduation. Sarah also enjoys visiting her home track of NHMS each year, reading, running and photography.